Research in Motion released its Q3 fiscal year 2013 financials Thursday, reporting $2.7 billion (UK£1.65 billion, AU$2.57 billion) in revenue while its adjusted loses were $114 million (UK£8.6 million, AU$13.3 million). Net profit for the company sat at $14 million (UK£8.6 million, AU$13.3 million), thanks largely to a $166 million (UK£102 million, AU$158 million) tax settlement. Revenue was down 5 percent from $2.9 billion (UK£178 billion, AU$ 2.76 billion) the previous quarter and 47 percent from $5.2 billion (UK£3.19 billion, AU$4.96 billion) during the same quarter last year. RIM picked up profit of $265 million (UK£162 million, AU$252 million) during that time as well. The company managed to ship 6.9 million BlackBerry smartphones last quarter with about 255,000 BlackBerry PlayBook tablets hitting the streets. Subscribers dipped by 1 million, dropping to 79 million users. CEO Thorstein Heins has warned investors previously that quarters around the release of BlackBerry 10 would be difficult. "[RIM] expects that there will be continued pressure on operating results as it gets set to launch its BlackBerry 10 platform in the fourth quarter," a company press release stated. 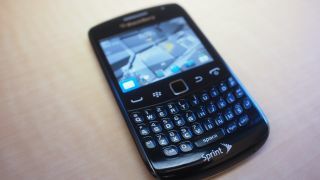 To alleviate some of that pressure, RIM is considering pricing initiatives on BlackBerry 7 devices and service fees in some markets "as a way to maintain our subscriber base and drive more BlackBerry users," according to the release. Marketing spending will go up next quarter, RIM said, which should boost BB10's release but serves as a warning to investors that profits might not rise for awhile. The company anticipates posting an operating loss for Q4 2013, the same quarter BB10 arrives. Despite the stiff financials, RIM didn't do as poorly as many investors anticipated and confidence is riding high going into BB10's Jan. 30 launch. RIM shares jumped 7.3 percent after the markets closed Thursday. All signs don't point to an imminent disaster for the OS once it launches either, which is good news for RIM in any measure. A recent browser test pitted BB10 against iOS 6 and Windows Phone 8, with the still-incubating OS leaving its compatriots in the dust. Carriers are digging what RIM is offering, but RIM needs to get consumers on board as well.